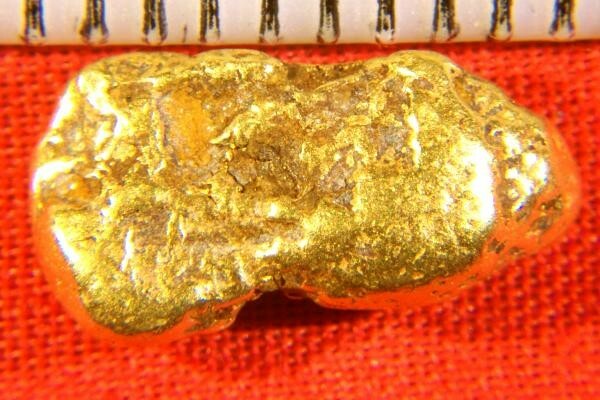 This is a real nice Natural Gold Nugget from the Yukon Territory in Canada. It weighs in at 44.5 Grains (3.2 Grams) and it measures 9/16" (15 mm) long. The color of Yukon gold nuggets is very rich and gorgeous. Grab a bit of the Klondike Gold Rush history with this awesome gold specimen. 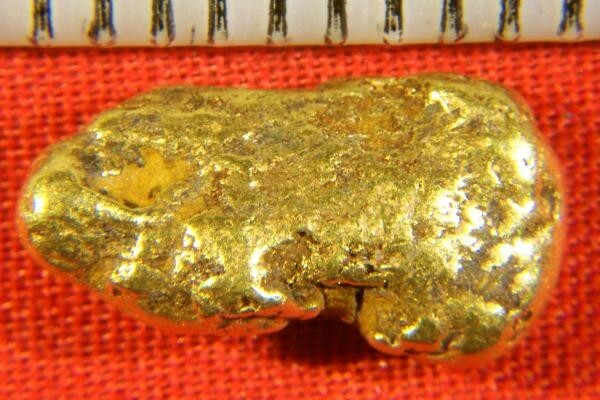 Natural gold nuggets from the Klondike are very hard to find for sale and my quantity is very limited.